Hello, all! 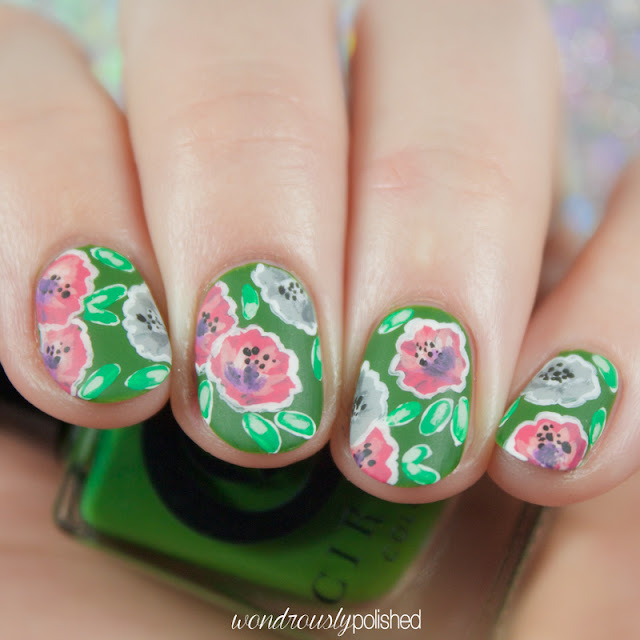 It's Beauty Buffs time again! 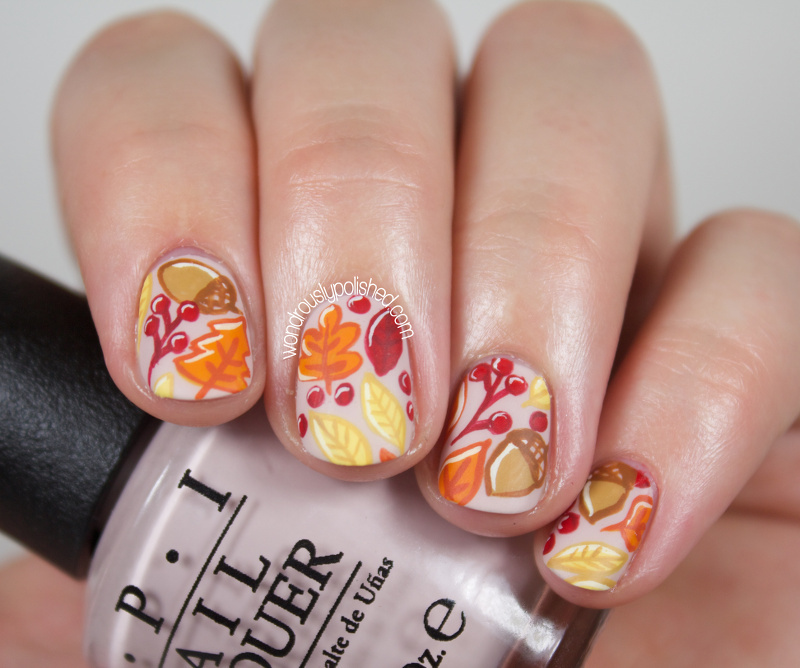 I wasn't able to partake two weeks ago because of life, but I couldn't pass up doing something for the Fall theme. Fall is my favorite. Like, I would contemplate marrying fall if someone could figure out how to do it. Just the thought of leaves changing color and temperatures dropping makes my heart happy! 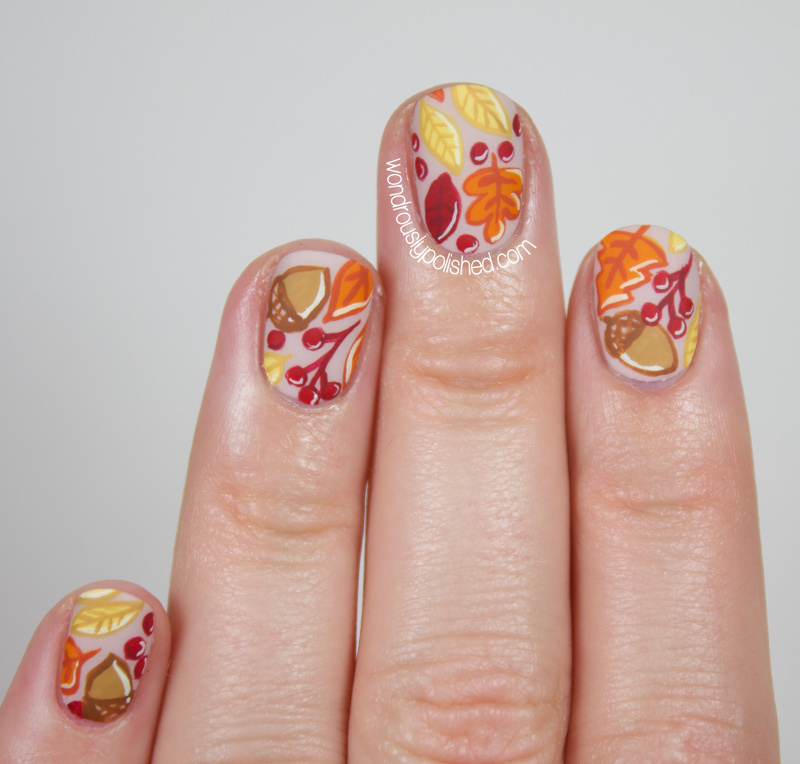 For today, I wanted to do something that had a quintessential "fall" feeling to it...and what better way than straight forward leaves, acorns and cranberries? 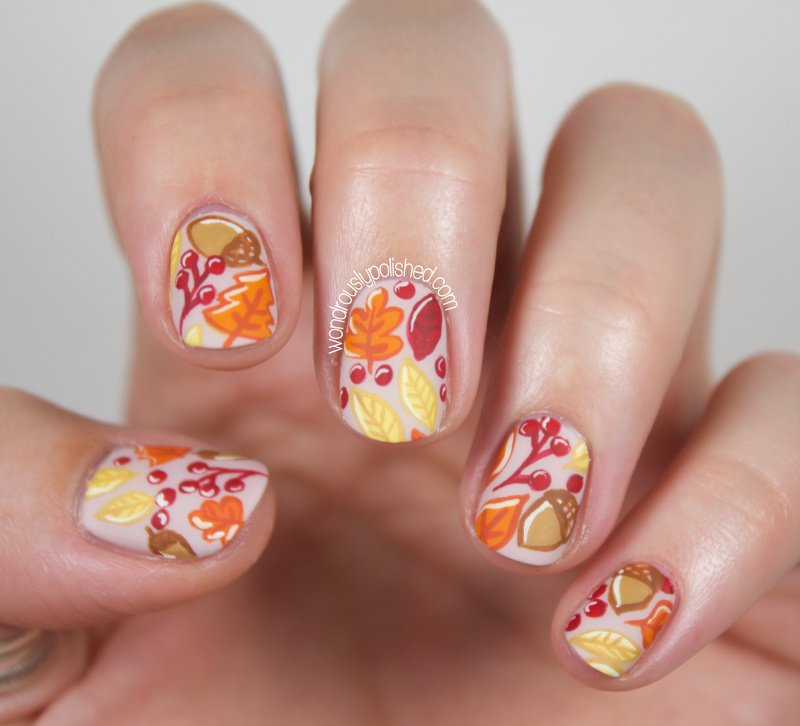 I was inspired by this fun pattern I came across and while I thought the original was cute, I wanted to make it a teeny tiny bit more sophisticated and exclude the cute smiley faces on the acorns and leaves ;) While I'm not super in love with these, I'm happy to have had a reminder that fall is just around the corner! 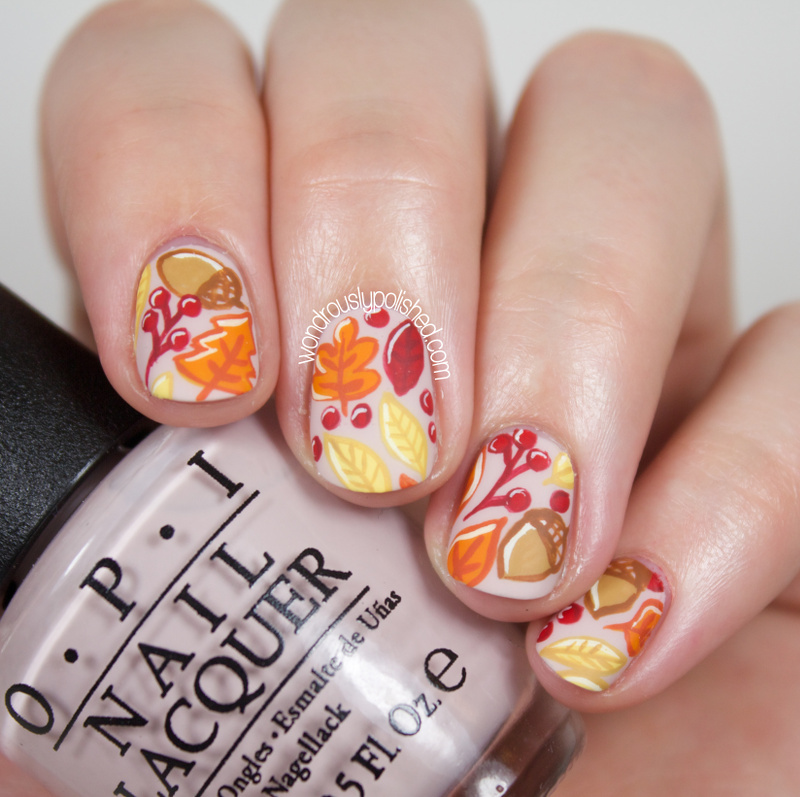 The base for these is OPI's Don't Bossa Nova Me Around and the leaves and details are done with acrylic paints. To help add some dimension to the leaves, I added the white edging to each object. Without that little added touch, these were looking really flat and I'm glad I took the few extra minutes to add them in. 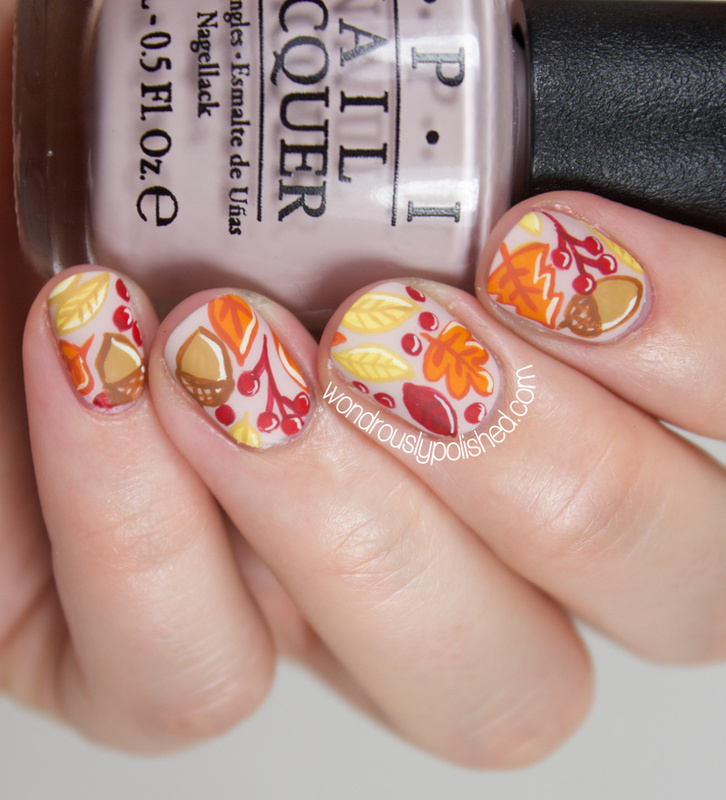 Only a few more weeks until we're officially into fall and I can't wait! 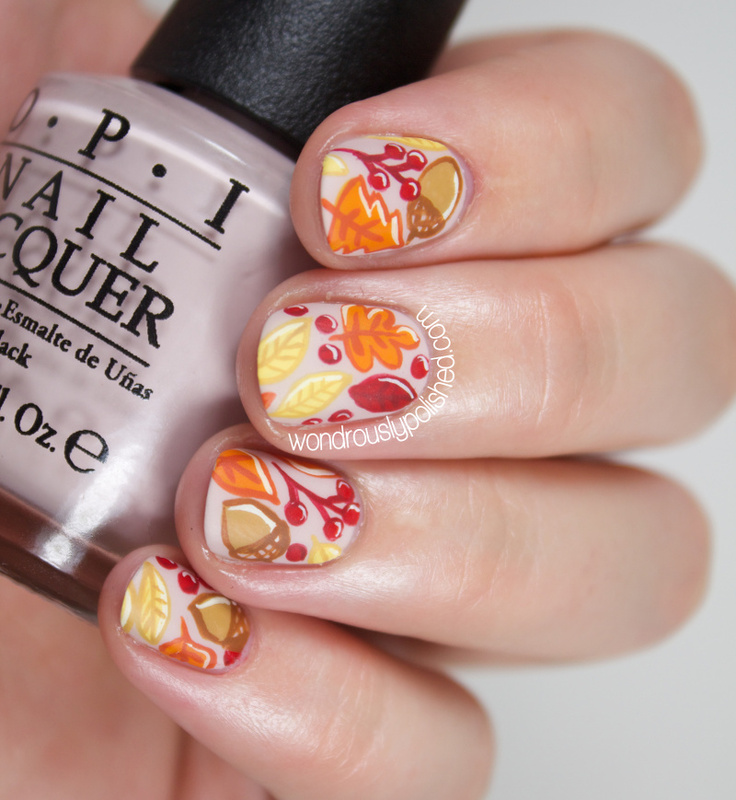 Get in the spirit by checking out what the other ladies have done for this theme! 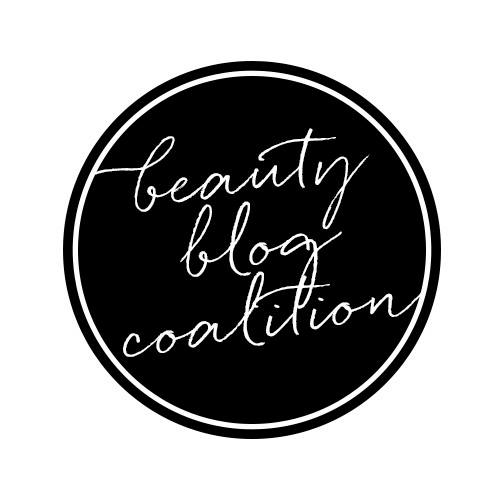 And be sure to follow The Beauty Buffs on Facebook!